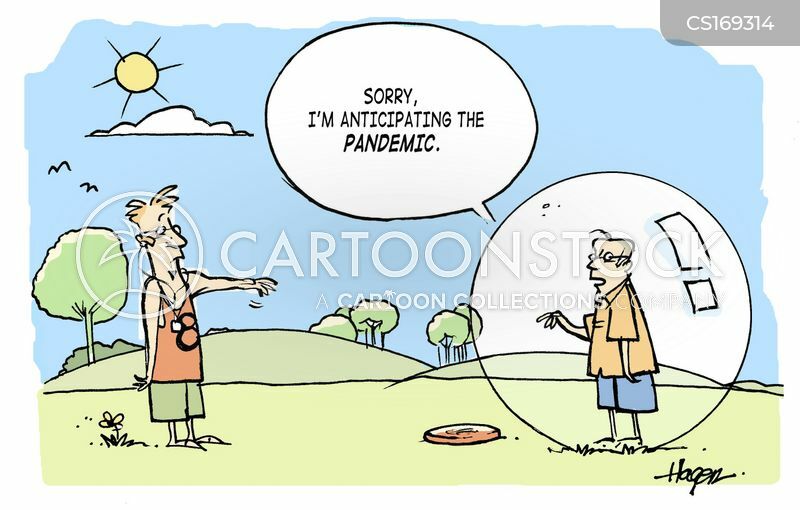 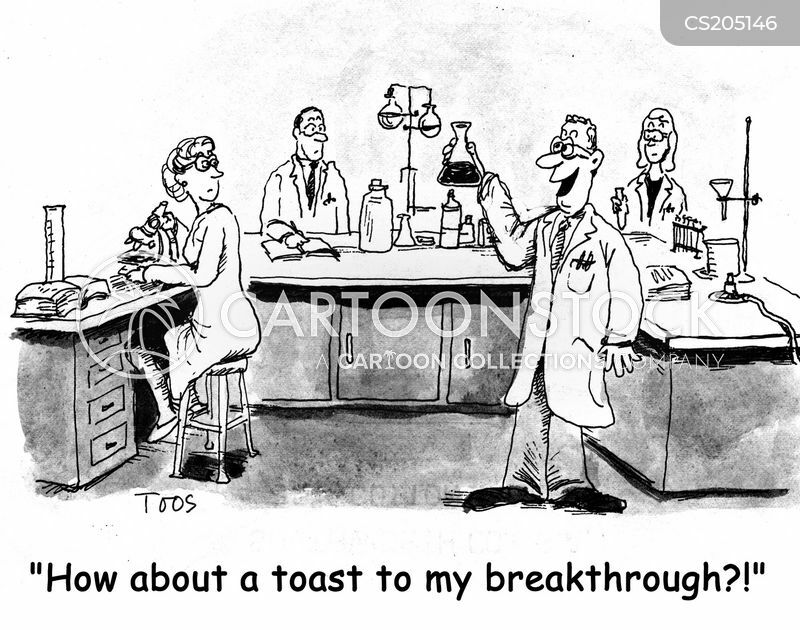 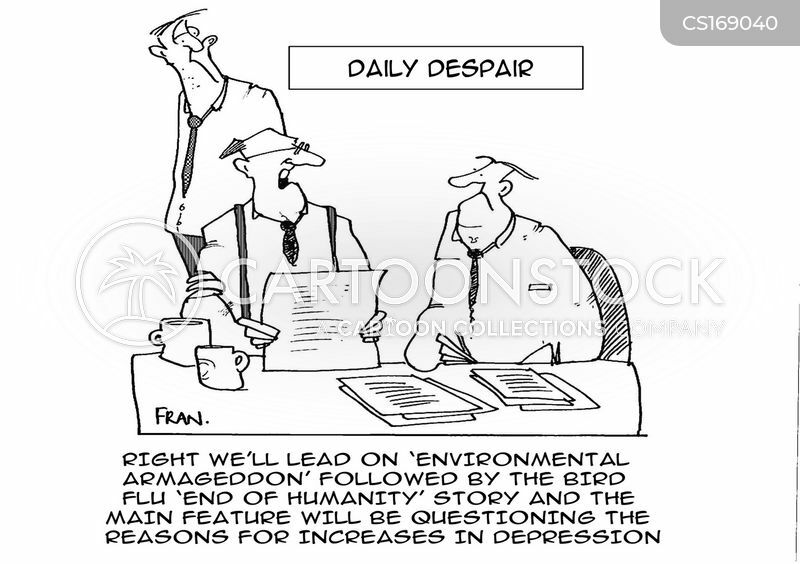 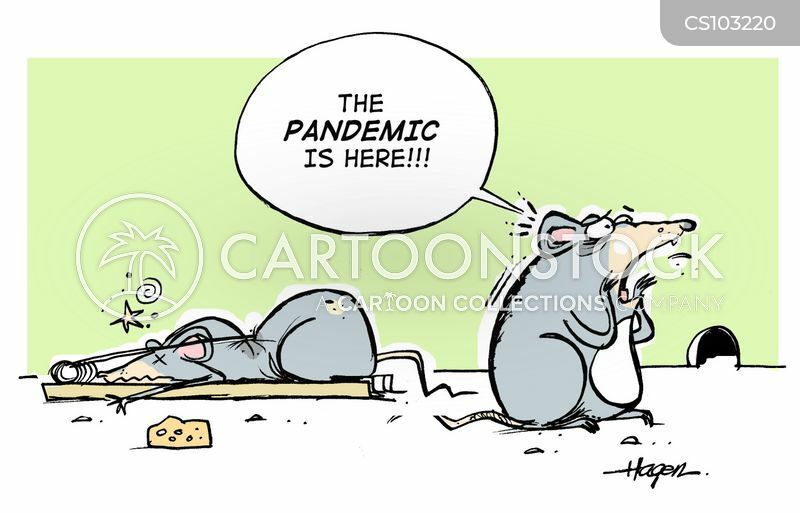 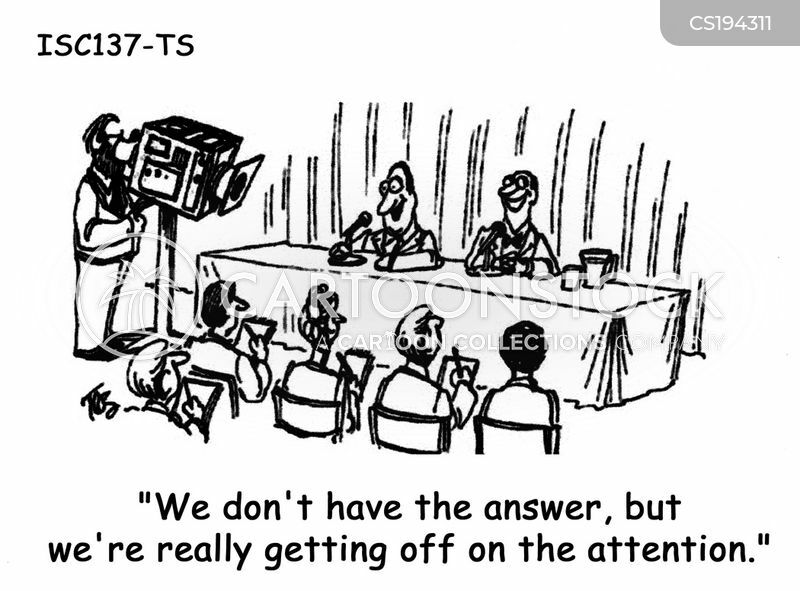 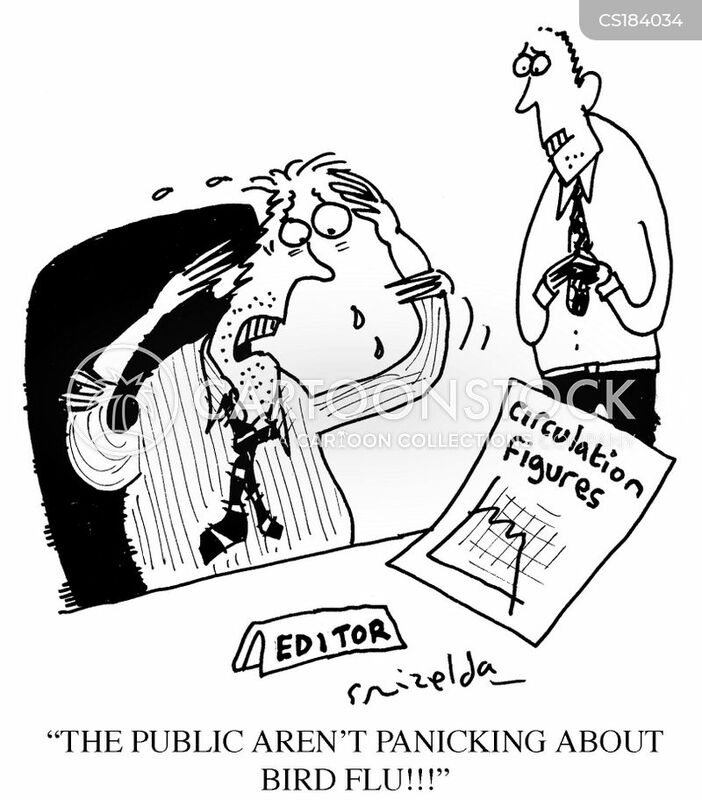 DAILY DESPAIR - Right we'll lead on 'environmental armageddon followed by the bird flu ' end of humanity story' and the main feature will be questioning the reasons for increases in depression. 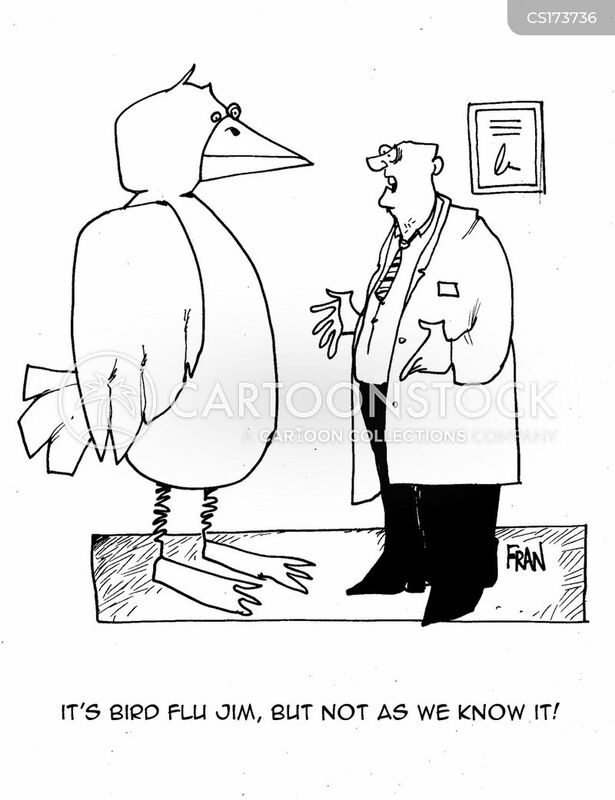 'And when exactly did you start sprouting feathers?' 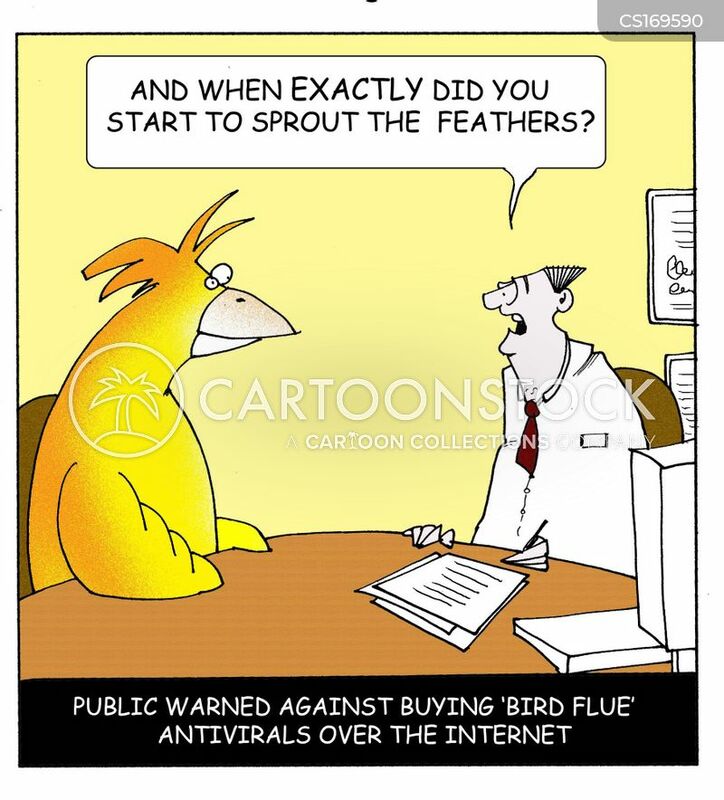 - Public warned against buying 'Bird Flue' Antivirals over the internet. 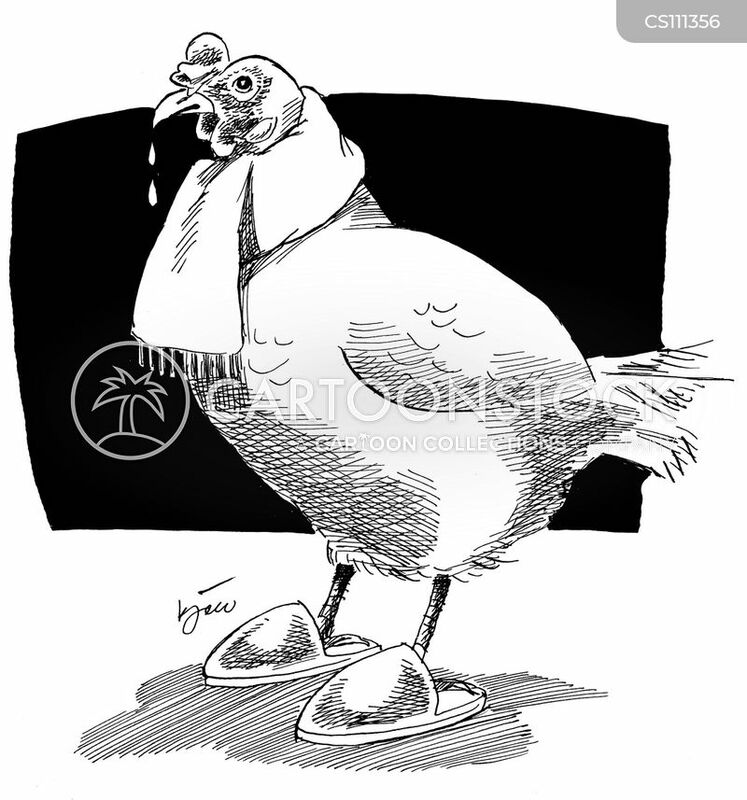 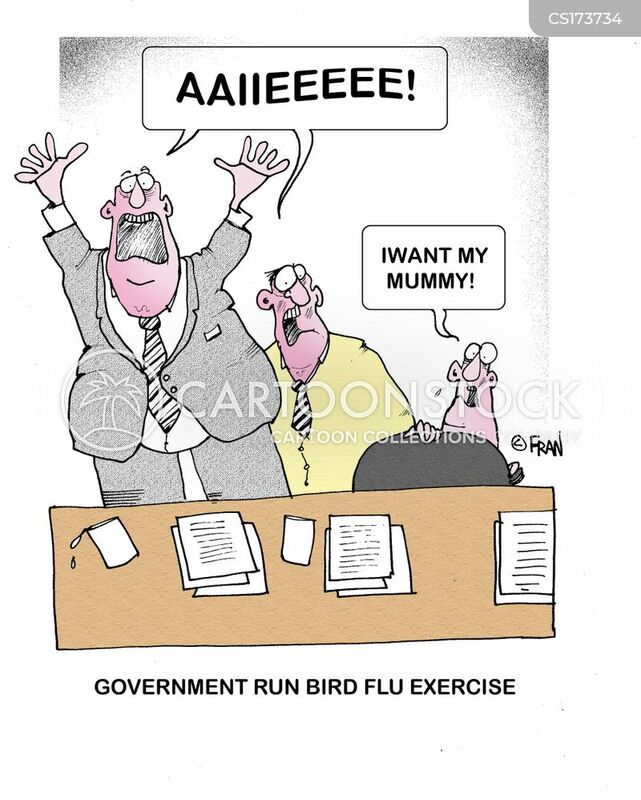 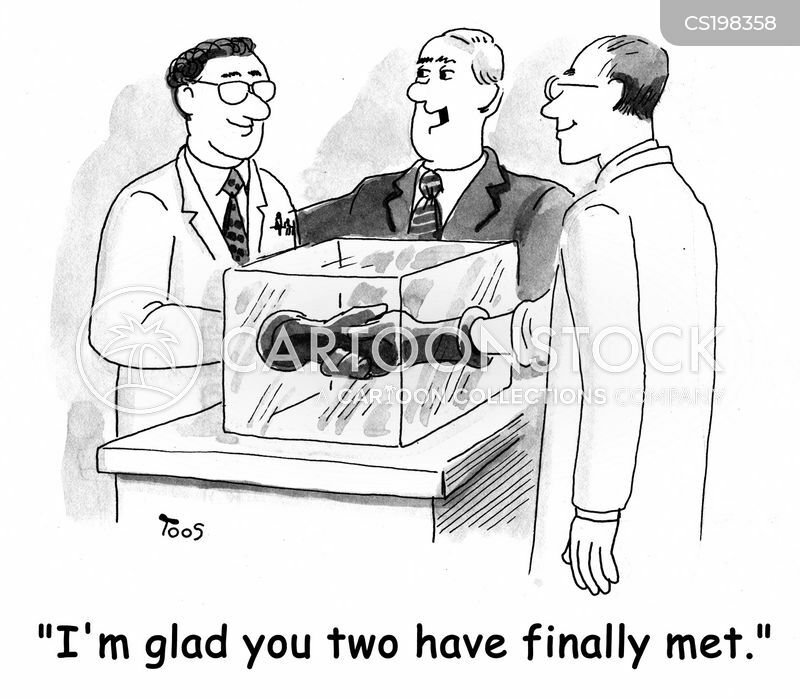 Government runs bird flu exercise. 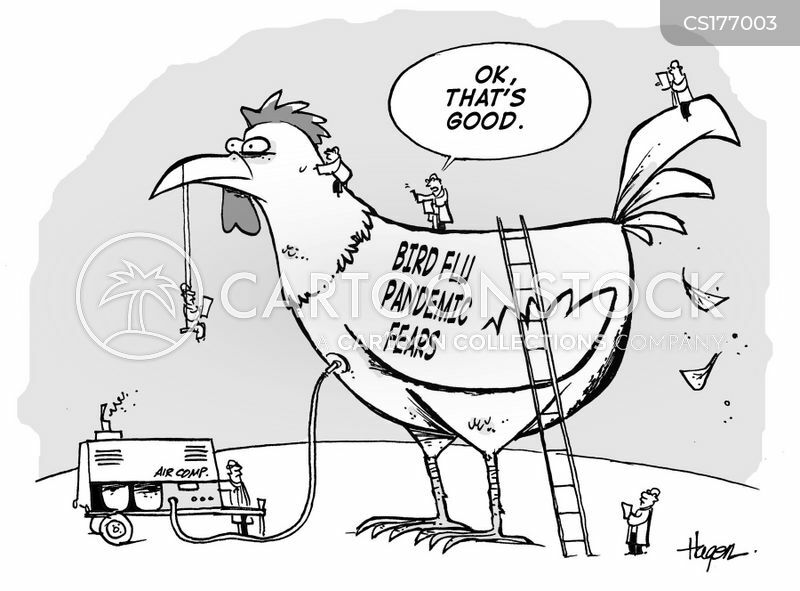 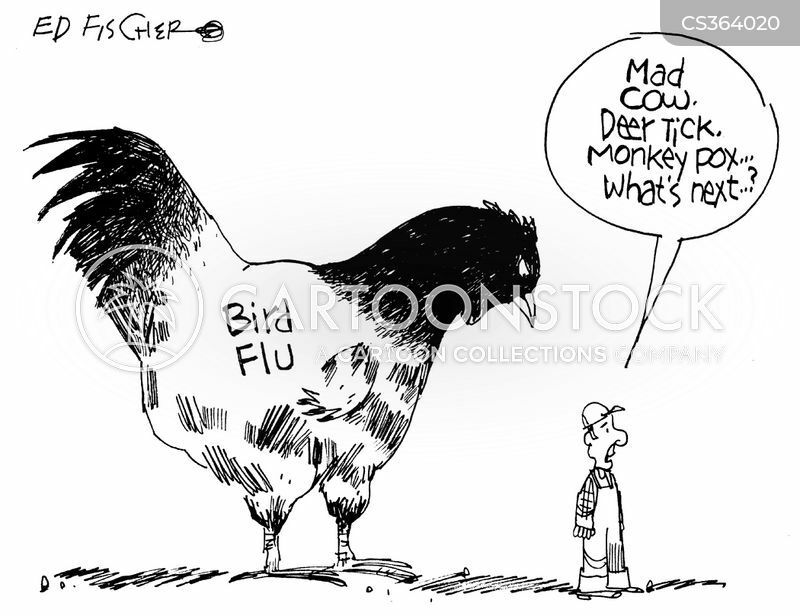 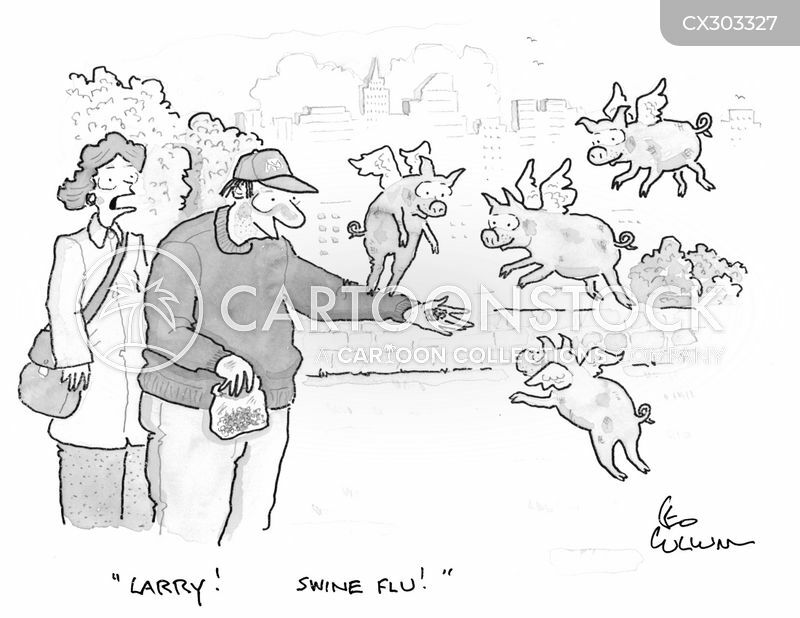 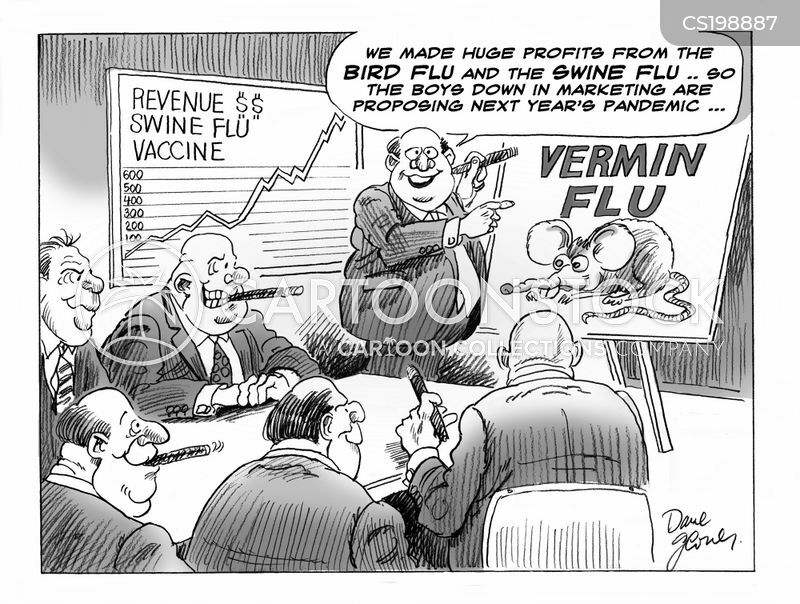 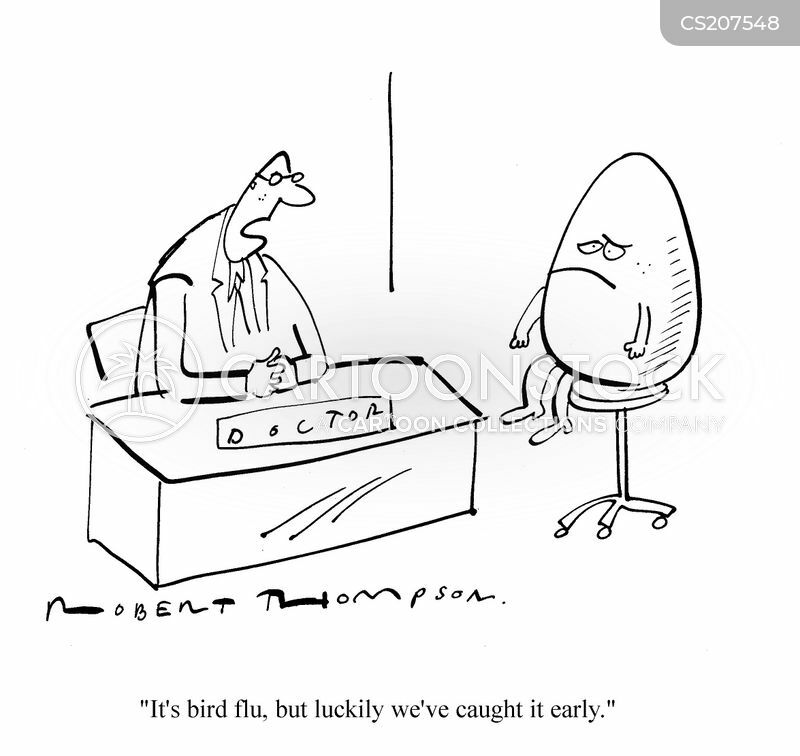 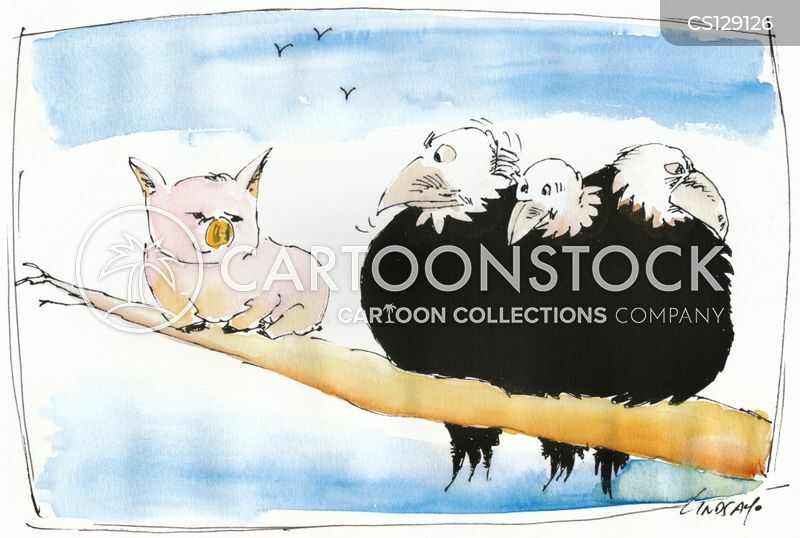 It's bird flu Jim,but not as we know it! 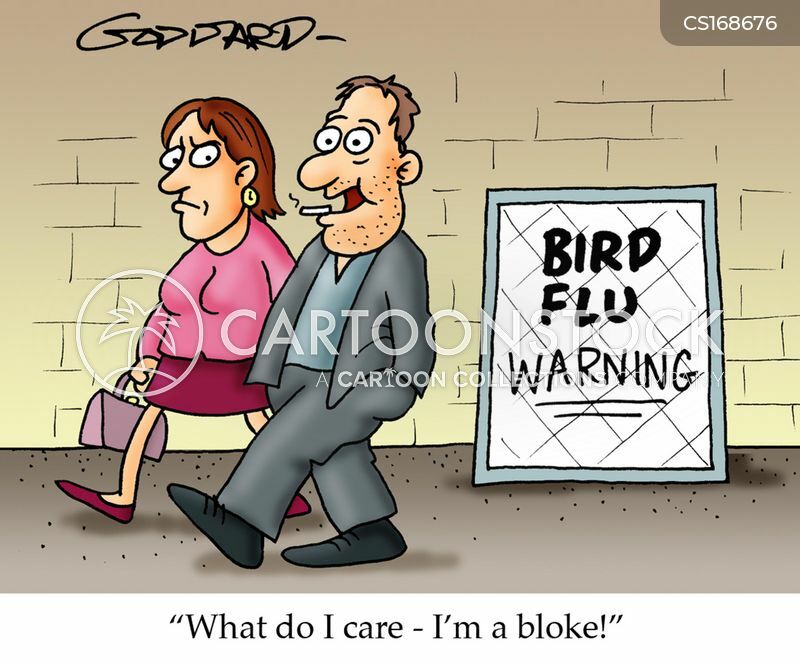 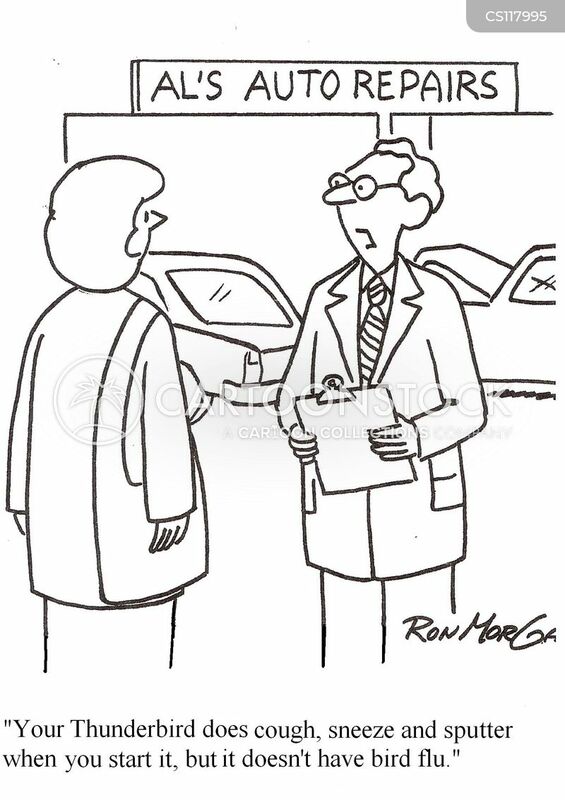 "Your Thunderbird does cough and splutter, but it doesn't have bird flu." 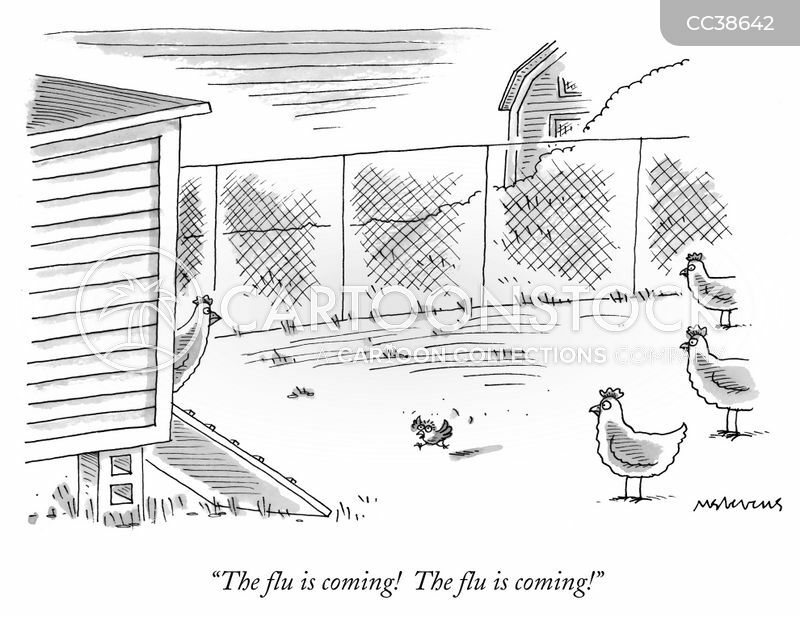 "Mr. Pigeon, you have the bird flu virus, all right, but you won't get sick. 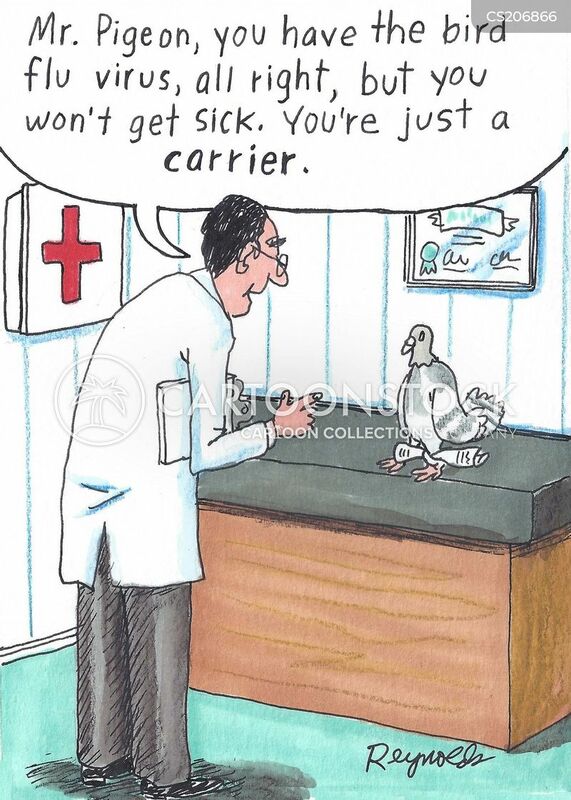 You're just a carrier." 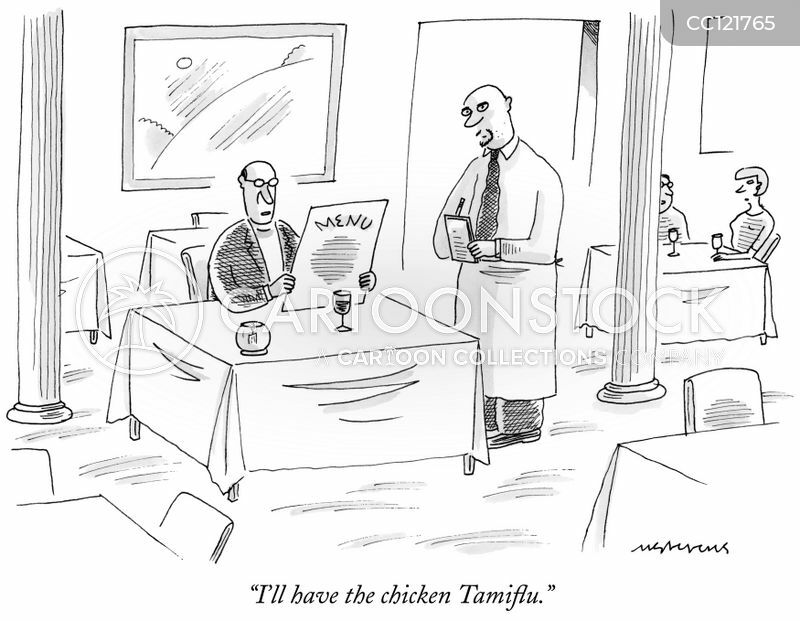 "I'll have the chicken Tamiflu." 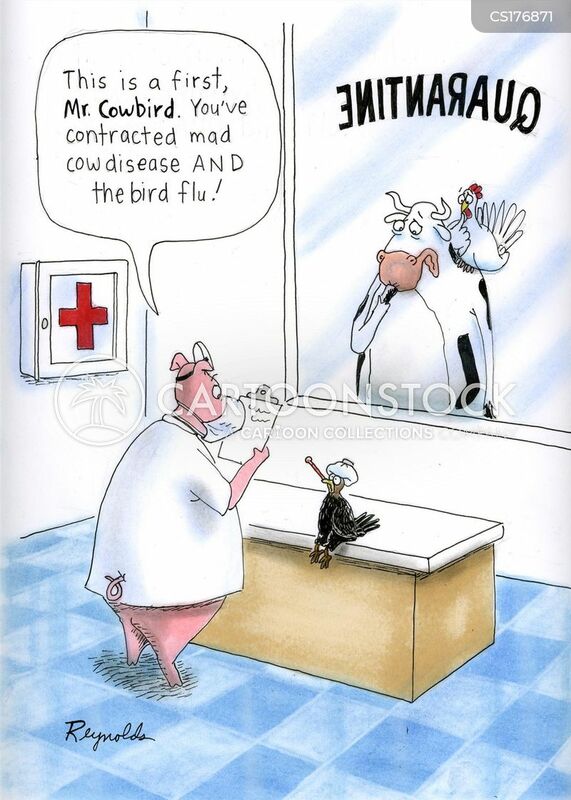 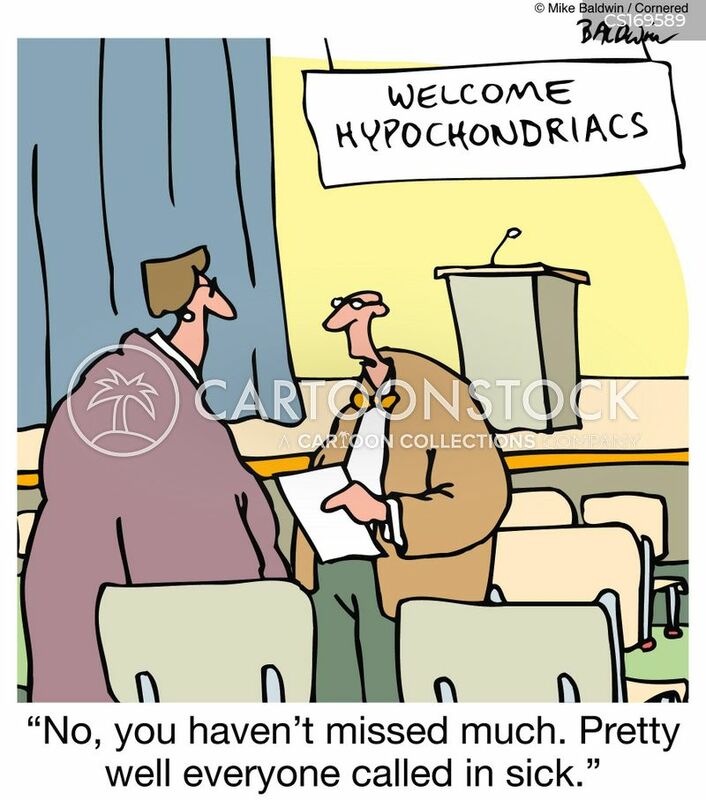 "Mad cow, deer tick, monkey pox, what's next?" 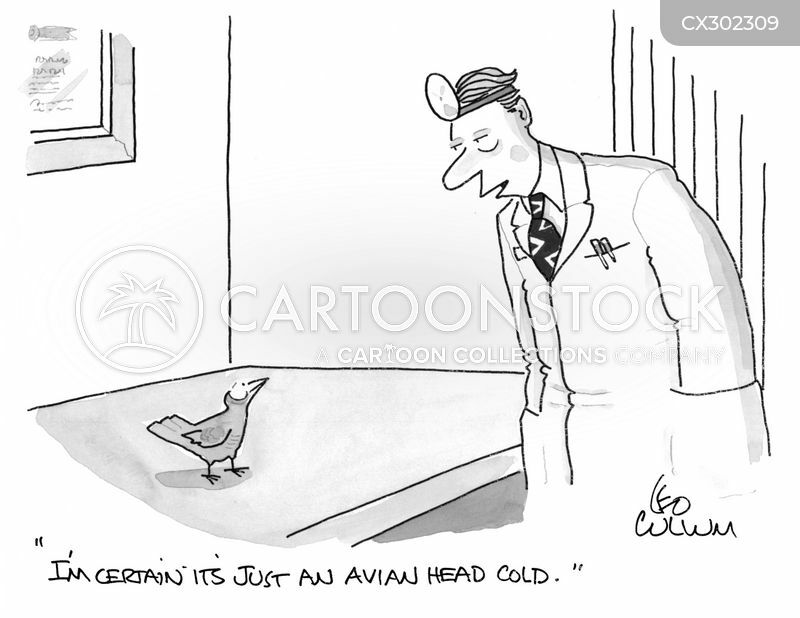 "I'm certain it's just an avian head cold."